A day devoted to one of these subjects allowing the time for an in-depth study, delivered with humour, knowledge and enthusiasm. 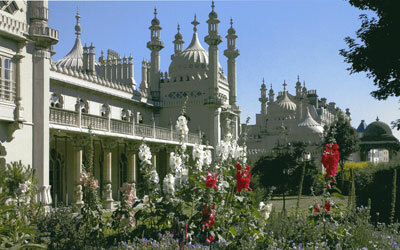 These lectures can also be run as a series of either two or three illustrated talks to give a more detailed look at Seaside Holidays, the Royal Pavilion or Pleasure Piers. Inject a breath of fresh air and sunshine into your winter lectures or set members up for the summer break with a celebration of the British Seaside Holiday. 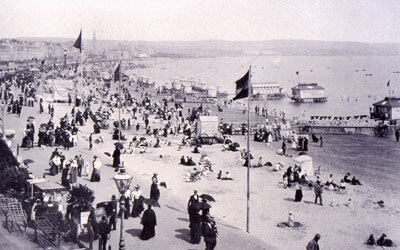 A light hearted look at the development of seaside resorts and why the seaside holiday became so popular, with social history, attractions, entertainment, wonderful art and architecture. These lectures take a compelling look at how the British seaside holiday has evolved over the years and are beautifully illustrated with early photographs, paintings and postcards which help capture treasured memories. The extraordinary story of George IV’s exotic Regency Palace, which in spite of its turbulent history has managed to survive and is now beautifully restored to its original 1823 splendour. One of the most famous and exotic buildings in Britain, attracting over 340,000 visitors a year from all over the world, with its majestic Indian architecture on the outside complemented by its lavish chinoiserie interior. These lectures look at the remarkable history of the Royal Pavilion, its secrets, struggles and magnificent interior decoration, whilst also taking a peek behind closed doors. A delightfully entertaining look at the history of pleasure piers covering just over 200 years, from the first pier in the Regency period up to the present day. 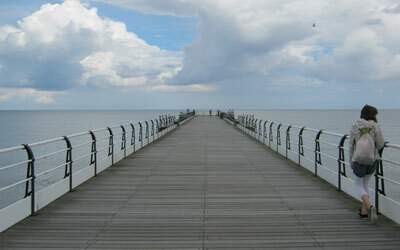 Almost 100 pleasure piers were built around our coastline, diverse in designs and some crowned with exotic palaces or pavilions. These elegant structures bear witness to the remarkable skills of the Victorian engineers and are an important part of our social history symbolizing the nation’s love of days out and summer holidays at seaside resorts. A celebration covering the heyday of piers, how generations have enjoyed the fresh air and sea views, been captivated by the amusements and entertained by a variety of artists. The incredible stories of our surviving piers, whether they are successful and flourishing or sadly in trouble, their future and the ongoing struggle to keep them.